Lana Del Rey and The Weeknd‘s new “Lust for Life” video is the stuff of dreams. 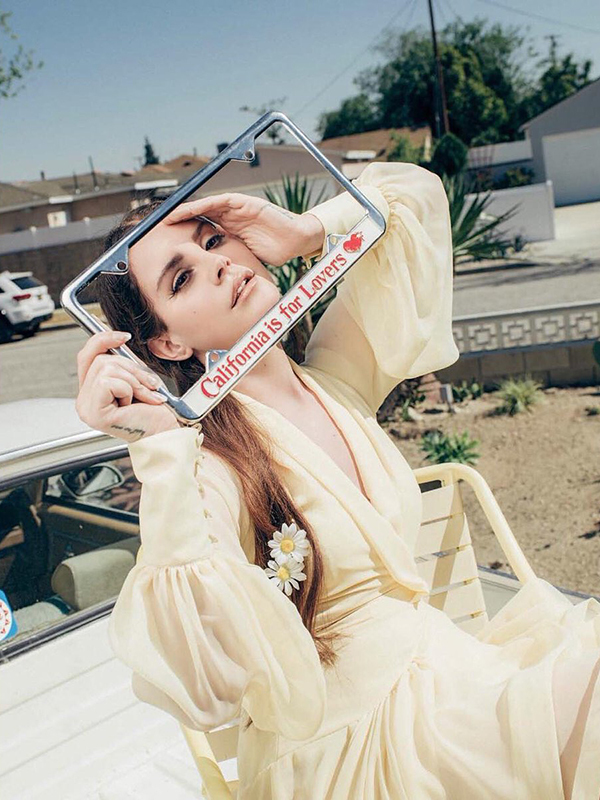 Lana begins as the lead singer of a Shangri-Las-style girl group, before she suddenly runs away from the set. From there she climbs up the infamous Hollywood sign in Los Angeles, glowing as it did during the ’50s. And she finds the Abel, her new Prince Charming, and slow dances on top of the H — her new home, according to the Lust for Life album trailer — underneath the stars. The “Lust for Life” video also has moments that recall The Wizard of Oz, from her red slippers to the final moments in a field of flowers. Lana and The Weeknd have become musical soulmates, as heard during the latter’s Beauty Behind the Madness. In a new interview with KROQ, Lana recalled how that mutual respect was formed long before then. Watch Lana Del Rey’s “Lust for Life” video up top. Listen to her on KROQ, where she also reveals the name of her Stevie Nicks collaboration, below.